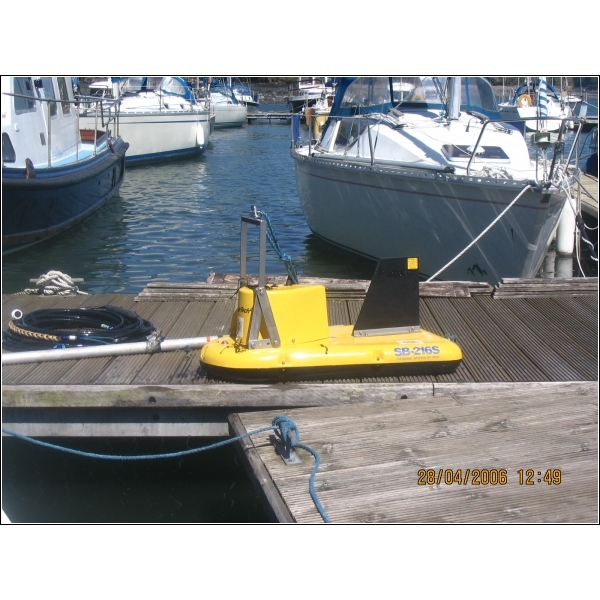 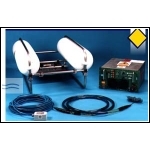 Geophysical survey instruments are typically used to establish the presence of rock on a pipeline or cable route and as a precursor to coring to identify unusual seabed features which require investigation. For most engineering works devices which operate at about 3.5-10khz (pingers, chirp) or 100-2000hz (boomers) are employed. 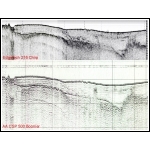 Sub-bottom features can normally be resolved to an accuracy of <0.3m with penetration depths in excess of 5m. 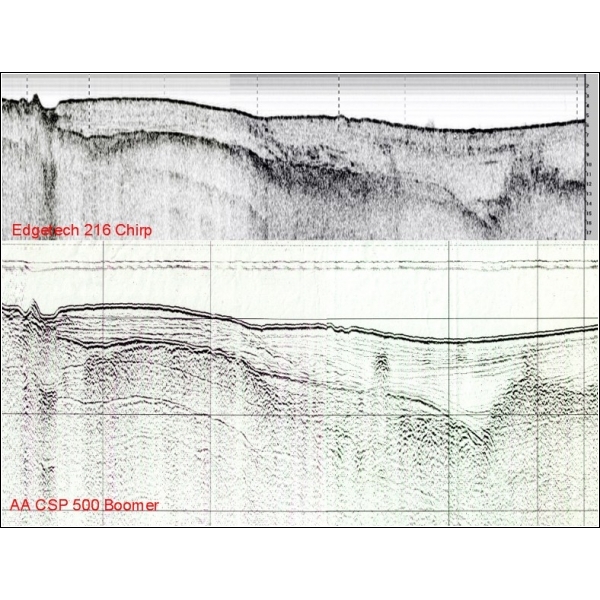 Good data is normally obtained in silts and sands though in gravels and boulder clays it becomes more difficult to obtain clear records due to the scattering and spurious reflection of the acoustic waves.